After the painters finished there is the matter of finding all the things I stashed into every conceivable space before they arrived. And then considering if they should go back on the walls or shelves that they used to live on. The walls are a different colour – 1/4 duck (1/4 strength duck that is, not 1/4 of a duck although paint colours are named very strangely) which is a greyish white. Excellent for putting strong colours against but saps the colour from anything pale. So the grey white toile quilt cover needed to be replaced. 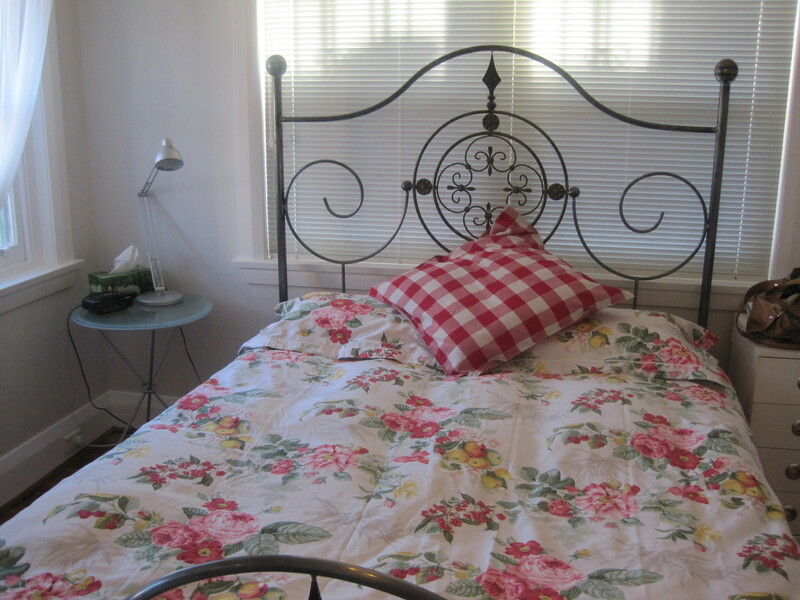 Fortunately Sheridan bed linen was on sale so I brought a floral design which really works well with the newly painted walls. 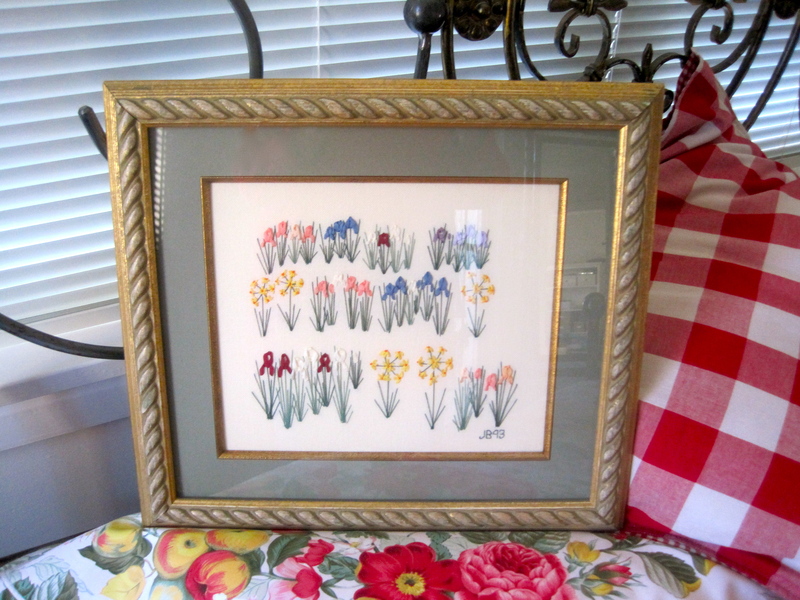 And I think this silk ribbon embroidery will go back in the bedroom as it picks up the colours. I did this embroidery years ago. It is good to always initial and date your work when doing it. I did this one in 1993. Thanks. Choosing paint is difficult and choosing white is not easy an easy option as there are about a million whites to choose from. I like this one in the day but it is more greyish at night and I am not so sure. But it is a good background for strong colour and that is what I wanted. Next Next post: Pretty Vintage Doily, Linen and Buttons.